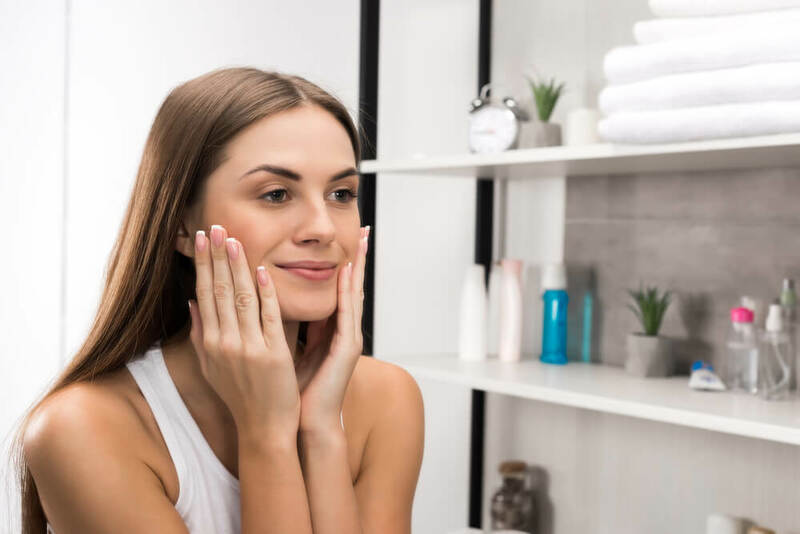 With how busy life gets and the number of tasks and responsibilities that keep piling up, it is easy to neglect skin care habits that take some of our time. There are days where we don’t have the energy to go through even a 5 step cleansing routine and go straight to bed. You probably experience a phase wherein some days you would forget to take off your makeup because you were super exhausted from work and the morning after your skin will feel sticky and greasy. Gross right? As a college student or a working adult, you can definitely relate. Although acne is a skin condition that both the rich and poor experiences, there is an underlying stigma making people who have it feel insecure and uncomfortable with their looks. Though somehow, having the hormonal misfortune of triggering acne is inevitable, there are some preventive and remedial measures we can take. What Happens to Your Skin? Before going into detail on how to cure and prevent acne, it is best to learn about this skin condition for us to have a better picture. The cause of acne is very simple. The pores are like the vents that help our skin to breathe. It helps our skin by disposing some of our bodies’ excess in the form of oil. 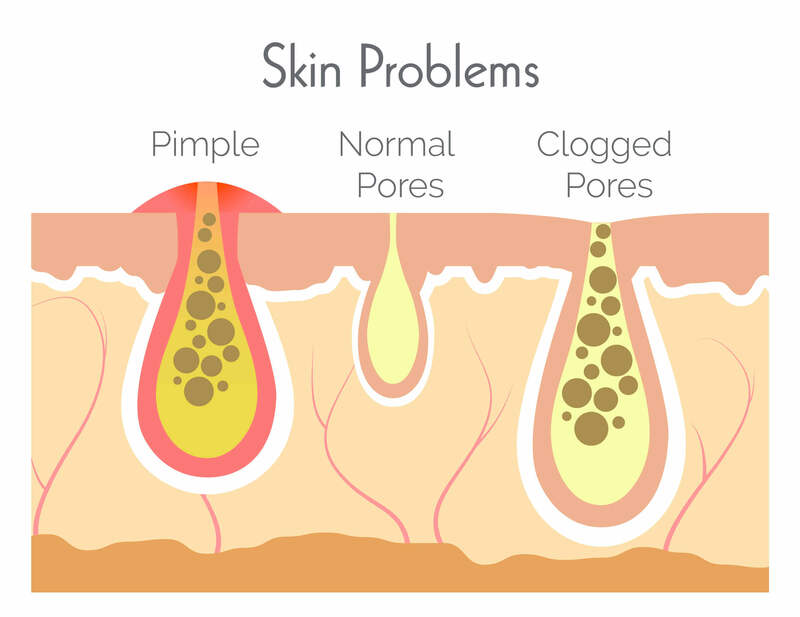 Pimples then are formed when oil gets clogged in our pores. Furthermore, these residues clogged in the pores may be infected by airborne bacteria brought by exposure to external agents such as dust. The bacteria that infects pimples and triggers acne is called Propionibacterium acnes. What to Do to Prevent Acne? Wash your face twice a day: It is best to use warm water, and mild cleansing products made for acne. Try to avoid antibacterial soaps because these products tend to make the skin coarse and dry. DO NOT pop your pimples: Although it is very tempting to do so, please refrain from popping because these will leave marks on your face that may be permanent scars. Be very selective of your cosmetics: Choose the makeup that is suitable for your sensitive skin type. Also, do not put too much makeup on your face especially when you are still recovering from acne. Chemicals in them may clog the pores and trigger more pimples. The roughness of the skin is due to the low amount of natural oils and lubricants that should keep the skin soft and smooth. Although, this condition is most common among the elderly, dry skin can be triggered by various environmental factors such as temperature and humidity. The epidermis, the outer layer of our skin, is made up of lipids and proteins. They prevent skin dehydration and retain moisture. Thus, deficiency of proteins and lipids makes the moisture evaporate quickly leading to rashes and cracks on the skin. Xerosis (dry skin) is very common especially during hot weathers. However, leaving it untreated may lead to bacterial infections and severe skin diseases. How to Treat Dry Skin? Do not over wash your face. Avoid using harsh soaps and cleansers. Religiously use lotions and moisturizers especially when going out. People with this condition will likely develop acne. 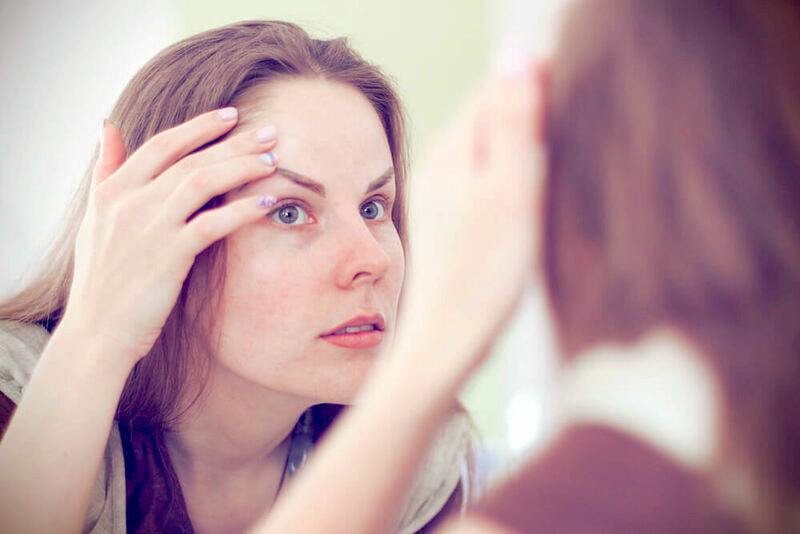 For the most part, having persistent oily skin has to do with stress, hormones, and genetics. Having oily skin is practically harmless, but it may sabotage your fresh look and makeup effort when you go out. These signs may also be caused by various factors such as frequent exposure to heat and humidity which makes your pores get used to producing more oil to hydrate the skin. In time, even in cold places, oil glands may switch to autopilot and generate unnecessary oil. How Do I Manage Excessive Facial Oil? Consider using a toner. A toner is always best used after washing your face for deeper cleansing. Toners have soothing properties for the skin such as natural astringents. For oily skin, the best products to use are those with witch hazel contents. Facials masks. The facial masks are good deterrents for oily skin. They contain minerals that can absorb oils, sebum levels, and shininess without causing irritation. Use moisturizers regularly. Some people steer clear of moisturizers because they think these will make their skin greasier. On the contrary, moisturizers are very important in preventing oiliness. As it was mentioned earlier, oil glands tend to produce more oil when dehydrated. Moisturizers act as an external aid to prevent dehydration striking a balance in the body’s processes. Swollen and reddish skin is often a symptom of acne, seborrhea, and rosacea. It is usually caused by irritation due to too much exposure to dust and the sun. Facial redness comes with itching and rough skin texture that can be very painful. Drinking too much alcohol. Although our faces turn reddish when we are drunk, frequent and excessive amount of alcohol in the body makes small blood vessels to widen in your skin and causes capillaries to break leading to irritation. Using low-quality cosmetics. Beauty products do not need to be expensive to be considered of high quality. Be very selective in buying your beauty cosmetics what use is a great deal if it irritates and damages your skin? Skipping your daily cleansing routine. We are inevitably exposed to airborne chemical agents that are harmful to our skin. These may build up in our skin and cause irritation. Yes, it is tempting to go straight to bed after a hard day’s work, but you should not neglect washing up. It will make your skin look better, and you will be refreshed and get a better good night’s sleep. Pain receptors are our bodies’ signal to tell us that there is something wrong. These sensations in our skin may entail damage or allergic reactions to external agents we have been exposed to. The same as facial redness, burning and stinging may also be side effects of various skin diseases or irritation from harsh skincare products. always wash the areas properly with mild cleansers only. Milia is a type of acne that is caused by skin disorders such as bullous lichen planus and bullous pemphigoid. These tiny white bumps are nothing to worry about because usually, they disappear after a few days. But of course, it would be better to sport a smooth, flawless skin. There are four types of milia. These are practically the same kinds. The only difference is where in the body does it appear. Primary Milia: The most common and typically appears on the face. Secondary Milia: This can appear anywhere in the body. Eruptive milia: This appears as small white bumps in the neck and head. Milia en Plaque– This is the rarest type, and it appears near the ear and upper eyelids. Milia are practically harmless but if you notice any abnormalities such as the unlikely size and prevalence to your body, be sure to pay a visit to your doctor right away. Peeling is caused by other skin conditions such as psoriasis, eczema and essentially dry skin. It is also called exfoliative dermatitis when the peeling has spread in a large portion of your body. This may cause discomforts such as itchiness and bruises. Skin can also be rough, patchy and affected areas may be swollen. Organic home remedies are always one of the best ways to medicate mild skin condition. Although as much as it is fun to play beauty guru in the kitchen, consult your doctors before trying anything new to treat your skin. Use lukewarm water in your bath to open up your pores. Use a gentle exfoliator as a facial cleanser. Use soft towels to dry your skin. Apply topical anti-inflammatory cream with aloe vera after cleansing your face. These are those wrinkles and fine lines that will eventually grace our facial features. Having these earlier can be side effects of stress, hormones, genetics and also dry and coarse skin. Aging, of course, is inevitable and every second that passes makes our bodies older by the moment. It is not a skin condition, but this is what most of us try to delay its telltales. To do so, we must be very particular not just in our skin care routine, but also in our day to day activities. Fill your diet with food rich in fiber, vitamins, and minerals instead of fats and sugar. DO NOT sleep with makeup on. Follow these tips and make it part of your daily routine and in no time, you may be surprised to look five years younger! Taking care of your skin is both a lifestyle and a sacred commitment to your body. It does not only entail your morning and evening cleansing routine but also your diet and day to day activities. So before skipping that sunscreen, ditching the evening routine to go to bed and neglecting to wash your face because you are already super late for work, think about the consequences that may show in your skin. Remember, wanting to look good is not vanity, it is simply our right to feel confident with our bodies. So, do things that make you look your best and be kind to your skin, always. Smoking is an unappealing habit. It leaves you with bad breath, yellow nails, and moreover is linked to a vast host of health conditions such as lung cancer and even depression. What you may not fully realize however is that smoking also leads to significant premature aging of the skin and causes wrinkles, furrows and thinning lips. There’s really no soft way of saying this – if you smoke cigarettes, you need to stop. Many scientists have also stated that smoking adds between 10 and 20 years to your natural age. It is estimated that around 1 million people start smoking in the United States every year and virtually all will go on to regret this decision as they find out the effect this poisonous habit has on their health, bodies and skin. Some studies have established that smoking is actually worse for women as the nicotine is more addictive. Women who smoke are also twice as likely to have heart attacks, strokes and lung cancer than their male counterparts. The effects of smoking on skin have been known for a long while. One study as early as 1965 identified what is now known as ‘smoker’s face’. What has become more apparent in recent years is exactly how smoking causes premature aging. There are numerous mechanisms by which smoking accelerates aging. It begins with the formation of free-radicals in the body when exposed to cigarette smoke. Free radicals are unstable molecules that cause disease and damage to cell DNA. Smoking also restricts blood flow to the minuscule veins in your skin known as capillaries preventing oxygen and vital nutrients from doing their job. All in all, this leads to a dull, grayish skin tone which has an obviously discolored look. Additionally, smoking increases production of enzymes that break down collagen in the skin which is integral to maintaining its elasticity. Smoking for many years will also deplete stores of vitamins A and C, both of which are involved in skin protection and health and help to keep harsh UV rays at bay. Finally, the actions involved in continually sucking on cigarettes and squinting from cigarette smoke causes deep lines to develop around the eyes and mouth. Smoking doesn’t just cause wrinkling on your face, it is also associated with damage and sagging on nearly all parts of the body including your inner arms and neck. Many smokers wonder if they can reverse the damage they have caused to themselves by smoking. Simply put, the best thing you can do to begin the reversal process is stop smoking – although you must realize you will never fully undo the damage that you’ve done. Healthy diets and supplements are great at maintaining skin health. You should also be aware that skin damage won’t usually appear until 10 or 20 years after you began smoking. A proper skin care regimen using anti-aging and moisturizing creams can also assist in preventing the formation of further wrinkles and fine lines. Think about how many times throughout the day you make facial expressions – you may not even be able to come up with a number because it happens so frequently. Over time, these expressions result in facial lines and wrinkles as your skin loses its collagen and elasticity. Perioral lines are common among aging women, and there are ways that you can help to prevent and treat these fine lines. Keep reading to learn more about perioral lines and how you can get rid of them. What are Perioral Fine Lines and Wrinkles? Smile Lines (Nasolabial Lines) – Smile lines are the lines that run from the bottom of your nose to the corners of your mouth. These often start small and progressively deepen with age. Marionette Lines – Marionette lines often result in an angry or sad looking face as you age. These lines are vertical fine lines and wrinkles found at the corners of your mouth and they can give your mouth a naturally downturned appearance that can make you look angry or sad even when you are completely relaxed. Vertical Lip Lines – Smoking is one of the leading causes of vertical lip lines for two reasons: the constant lip pursing and the damaging chemicals, toxins and free radicals that result from smoking. Nearly all women, even non-smokers, end up with vertical lip lines because they are caused by repeated motion of the lips. Things like pursing your lips and drinking through straws also result in vertical lip lines. You can’t live your life completely expressionless, but learning how to relax your facial muscles is a good start in preventing perioral fine lines and wrinkles. Facial massage is a great way to provide your muscles with much-needed relaxation, and you can do a quick two-minute massage at the end of your nighttime facial routine or as your apply an antioxidant serum. If you are a smoker, quit now. Always remember to apply sunscreen to every area of your face, and follow a healthy lifestyle that includes drinking plenty of water. Facial Exercises – Giving your face a nice massage can help to smooth the appearance of wrinkles, and performing facial exercises are a way you can help strengthen your muscles. When you lose collagen in the perioral region, fine lines and wrinkles become more prominent. Using facial exercises tones your muscles, and when you have sufficient muscle tone, it can make up for the lack of collagen in your skin and decrease the appearance of wrinkles. Topical Treatments – Anti-aging creams, serums and targeted treatments are all ways that you can help treat perioral fine lines. Look for skin care products that use antioxidants like vitamin C or resveratrol, that have moisturizing agents like hyaluronic acid and/or products that contain retinol. All of these ingredients help to fight the appearance of existing wrinkles and help prevent the formation of new fine lines. 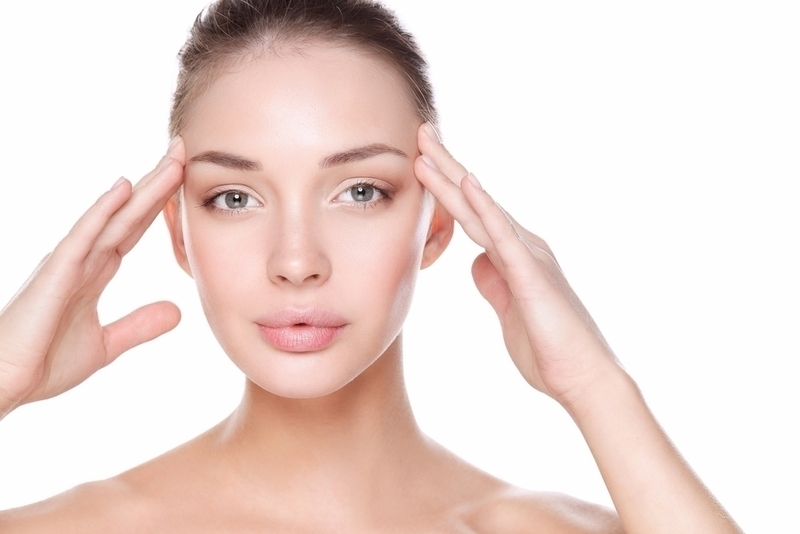 Botox and Fillers – Injectables are a common way to diminish the look of fine lines and wrinkles. Injectables like hyaluronic acid help to plump up your skin and smooth wrinkles, while Botox paralyzes the muscles around the face, keeping them in a permanent state of relaxation. It is important to note that while these treatments are effective for wrinkles, the results are not permanent and typically last for a few months. When it comes to preventing signs of aging, including perioral fine lines and wrinkles, sunscreen is the best anti-aging weapon you can use. A skin care routine full of quality ingredients like retinol and resveratrol will also significantly impact the appearance of your fine lines and wrinkles. Be consistent with your skin care routine and give your face some extra attention with exercises and massages to see your perioral fine lines and wrinkles diminish and disappear. We all know that getting our beauty sleep is important. The amount of restful sleep that we get not only impacts how our faces, particularly those pesky under eyes, look and feel the next morning, but good sleep patterns improve mental clarity, increase energy levels and help maintain overall health. Though sometimes when we sleep, which is a good thing for our bodies, our faces and necks are negatively impacted. Sleep wrinkles are totally unfair and, fortunately, preventable. Learn how you can help prevent sleep wrinkles using our super easy tips. 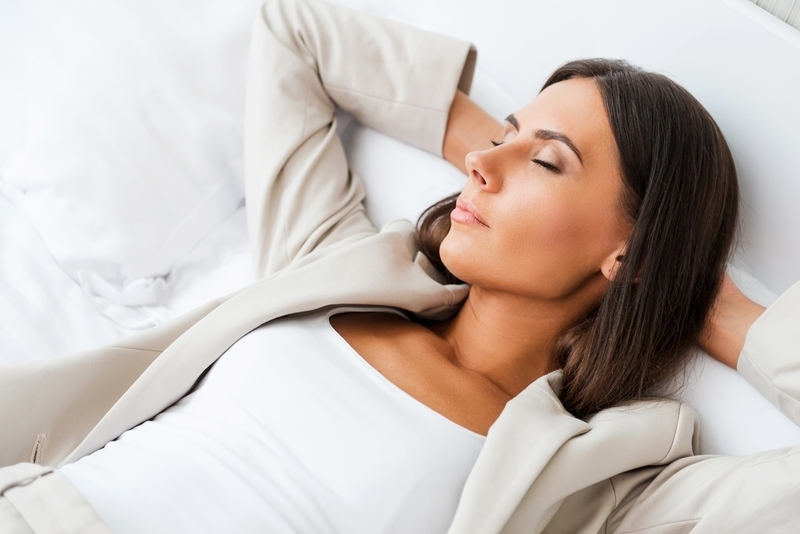 Experts agree that the most beneficial sleeping position for preventing wrinkles is your back. Sleeping on your back is really the only way to completely avoid sleep lines and the resulting wrinkles because when you sleep on your back there is no facial contact with your pillow. On average, you will change your position 20 times during the course of a night’s sleep and statistics indicate that 60% of your night is spent on your side. Sleeping on your back may be uncomfortable at first, but making an attempt to sleep on your back is a great method for reducing sleeping wrinkles. Doctors do warn that sleeping on your back may aggravate certain medical conditions like acid reflux or sleep apnea and in these instances it’s best to talk to your doctor to find out how to avoid wrinkles and sleep soundly. Beauty experts have long touted the multiple benefits of using a satin pillow case for sleep. These benefits include less tangled and healthier hair and clearer skin. Now you can add that a pillow case can be helpful in the fight against wrinkles. When you use a satin pillow case, there is less friction between your face and the pillow, which helps stop the fabric from bunching up when you inevitably move around during the night. The less the fabric bunches up, the more likely you are to help prevent sleep wrinkles. 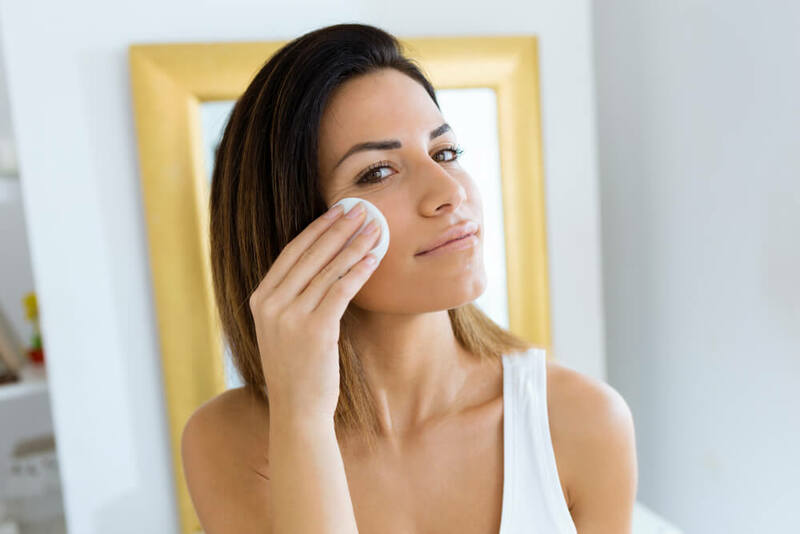 You know you should remove any and all makeup prior to hitting the sheets, but you may think you can get away with skipping washing your face if you aren’t wearing makeup. Not true. Experts recommend always going to bed with a clean face. While everyone can benefit from this next step, it is especially important for mature or aging skin. A night cream can help prevent sleep wrinkles by rejuvenating your skin and helping to repair skin damage. The reason that this is particularly important for aging skin is that as we age our collagen production slows down, which decreases the skin’s elasticity. Additionally, the older we get the less natural oil our skin produces and dry skin exaggerates wrinkles. In addition to these tips, experts also recommend avoiding caffeine or alcohol before bed. Both of these substances dry out the skin and make your wrinkles appear more prominent after a night of sleep. We all know that there is no way to keep our skin from aging, but with a bit of extra care we can help delay the signs and severity of aging, such as sleep wrinkles.